Just two years after leaving the Florida Gators for an opportunity in the NFL with Washington, former defensive backs coach Torrian Gray has returned to Gainesville, Florida. The Gators announced Monday that Gray will return as the replacement for Charlton Warren as the team’s cornerbacks coach. A career college coach who spent 10 seasons at Virginia Tech (2006-15), Gray initially joined Florida to coach defensive backs under head coach Jim McElwain in 2016. Despite receiving rave reviews for his performance as an assistant, Gray chose to depart the program after one year to take the same position in the NFL. Gray was one of many defensive assistants released by Washington after the 2018 season, though few believed it was for his particular performance as there were wholesale changes on that side of the ball. 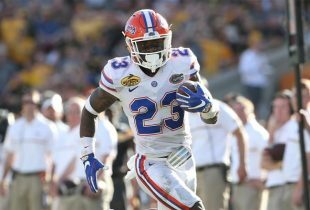 In returning to the Gators, he inherits a talented secondary that should only get stronger after head coach Dan Mullen’s second recruiting class in Gainesville. The familiarity with Grantham’s system should allow Gray to slide right into a comfortable role as an assistant, and his tremendous recruiting relationships — especially in Lakeland — should bode well as Florida looks to make a major impact with its Class of 2020. Gray has coached defensive backs for 19 seasons. His role with the Gators is specifically listed as “cornerbacks coach” as Florida also has Ron English coaching safeties. Whether Gray could take over the entire unit immediately or in the future remains to be seen. 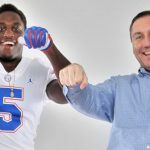 Warren’s quick departure for Georgia looked to leave Mullen scrambling with just weeks until National Signing Day. 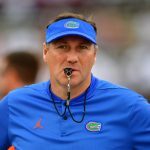 The hire of Gray paints a different picture as the Gators have not only replaced Warren quickly but appear to have upgraded at the position. Great hire. A upgrade in my opinion. Nice hire! Good job by Mullen and his staff to fill that hole quickly.